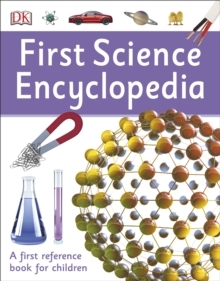 Help your child learn all about science with First Science Encyclopedia. Filled with fun science facts about many different subjects, from the human body and animals to facts about space and matter. From the blood and breathing to rocks and minerals, kids will love getting to grips with this exciting encyclopedia. Perfect for homework or just for fun, First Science Encyclopedia is the ideal starting place for young scientists aged 5 and up.